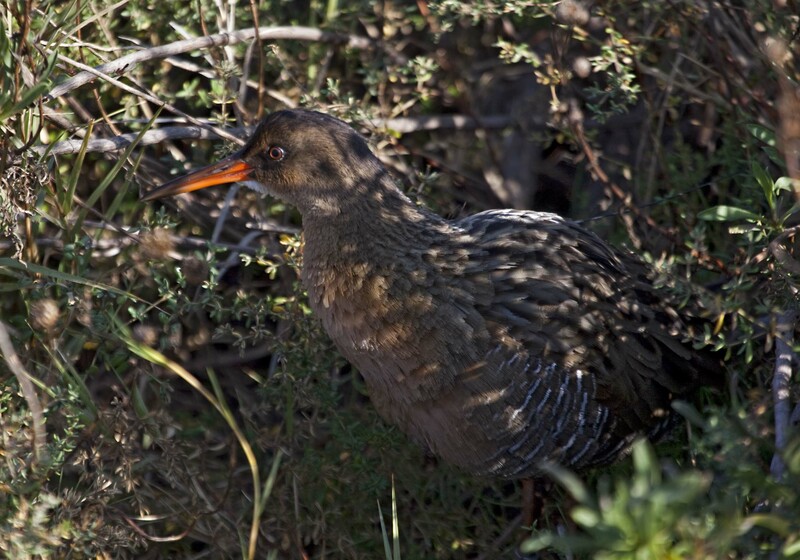 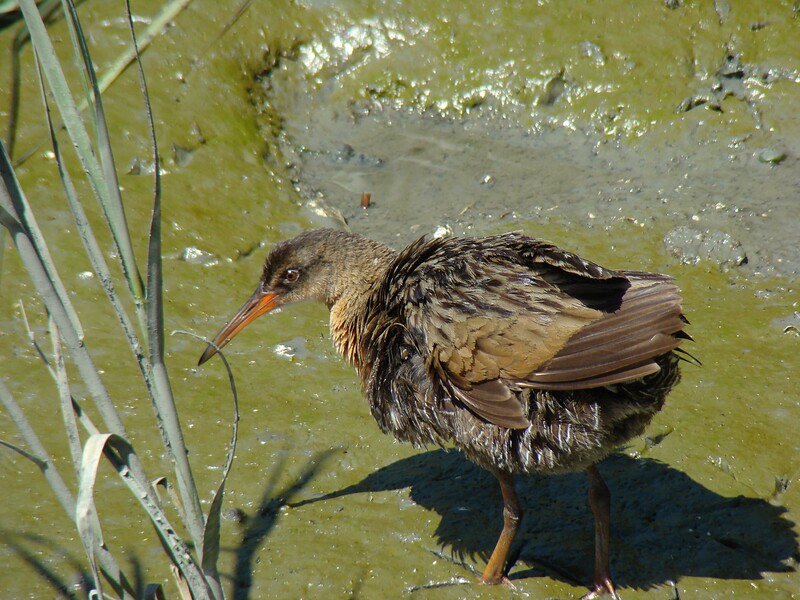 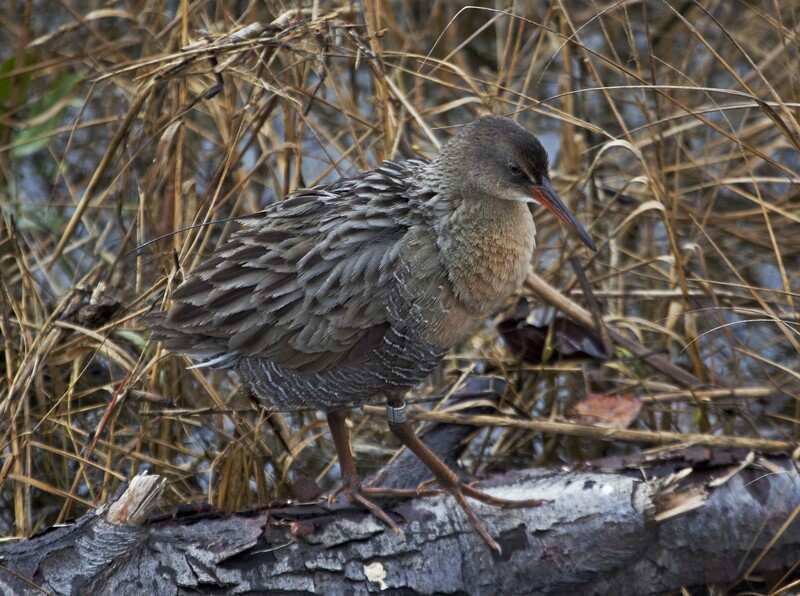 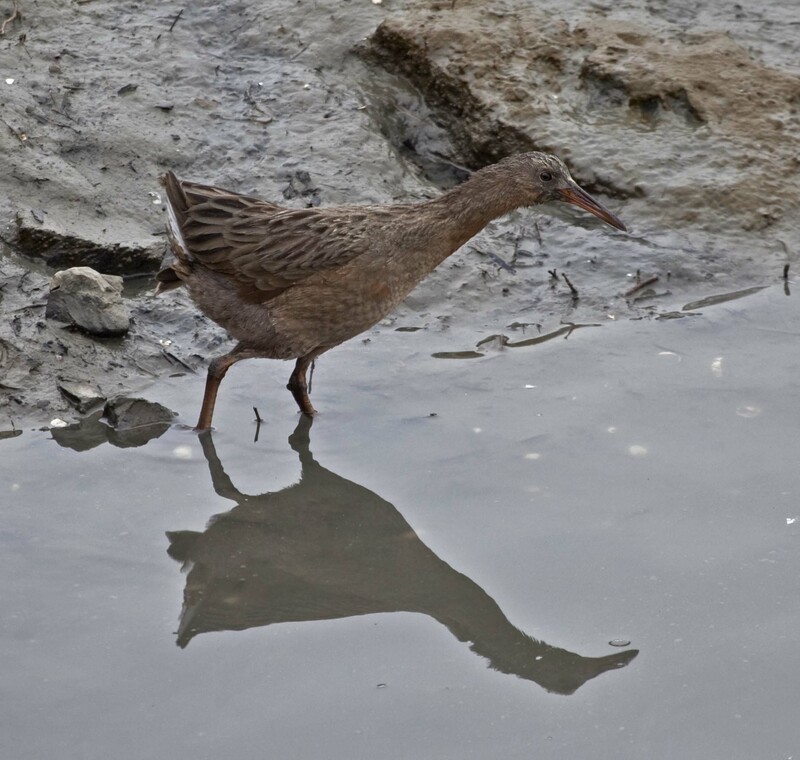 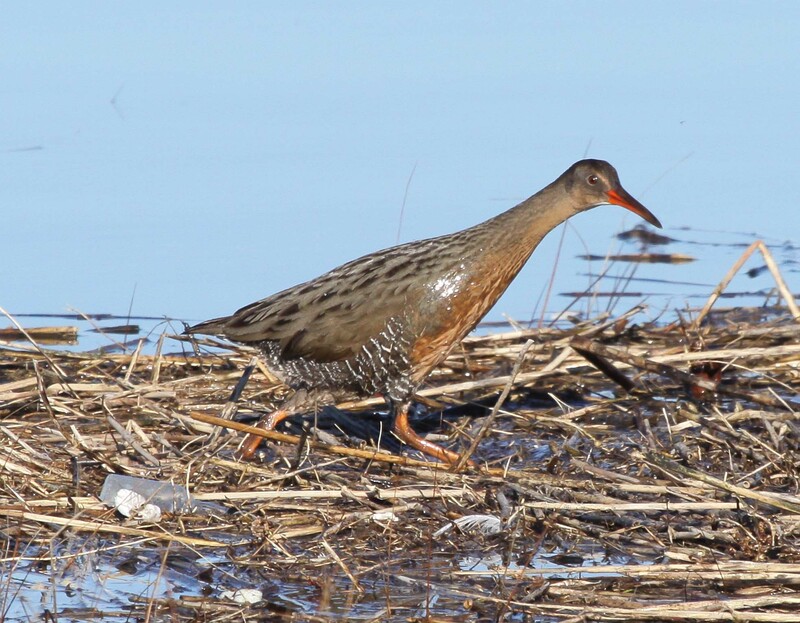 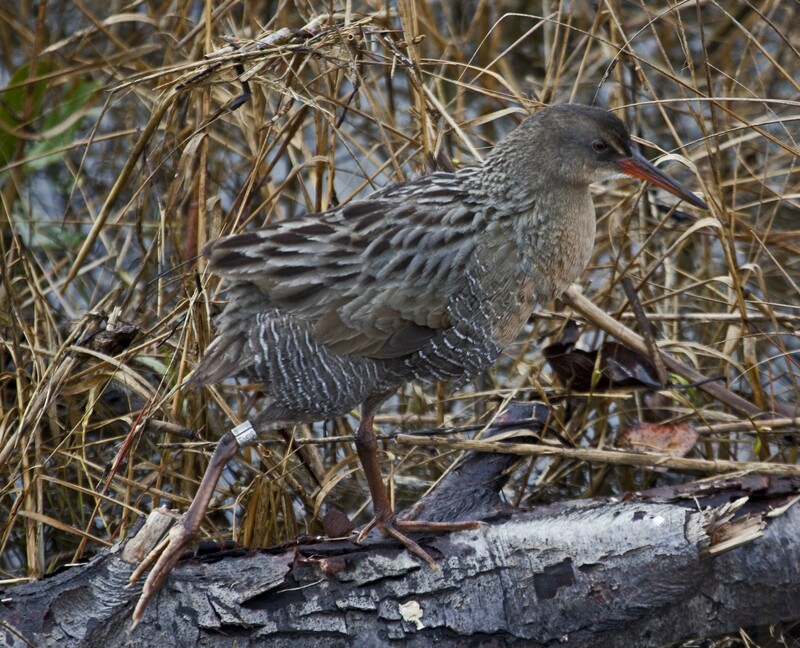 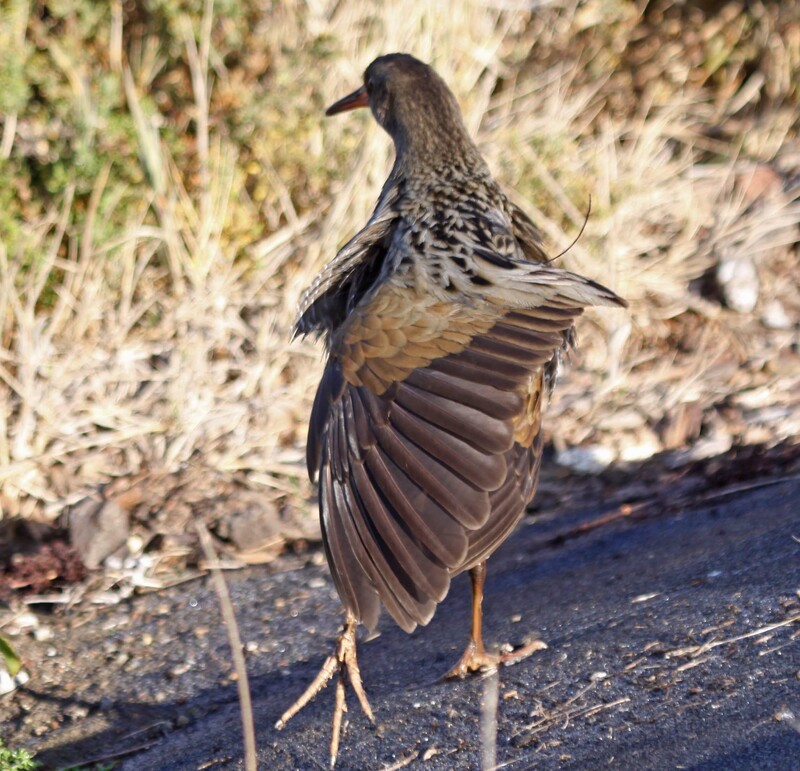 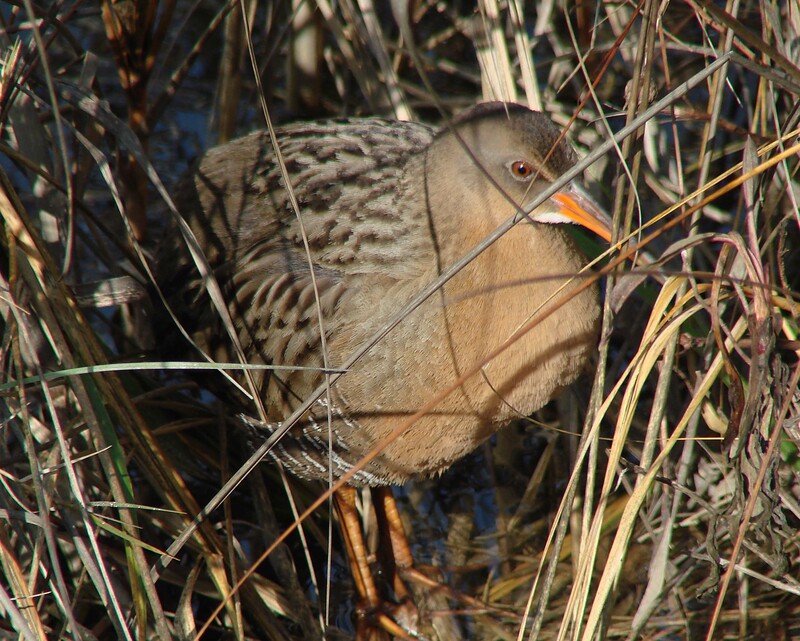 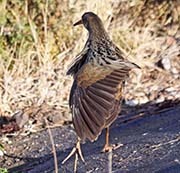 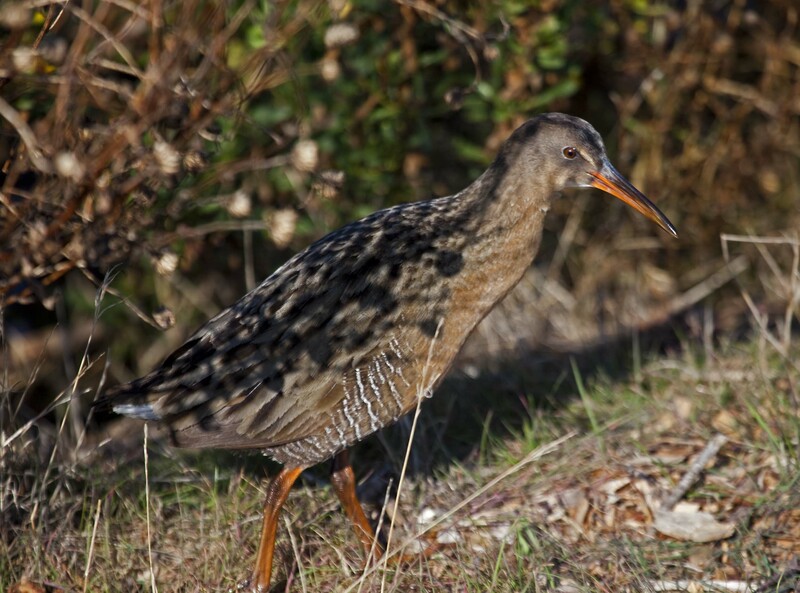 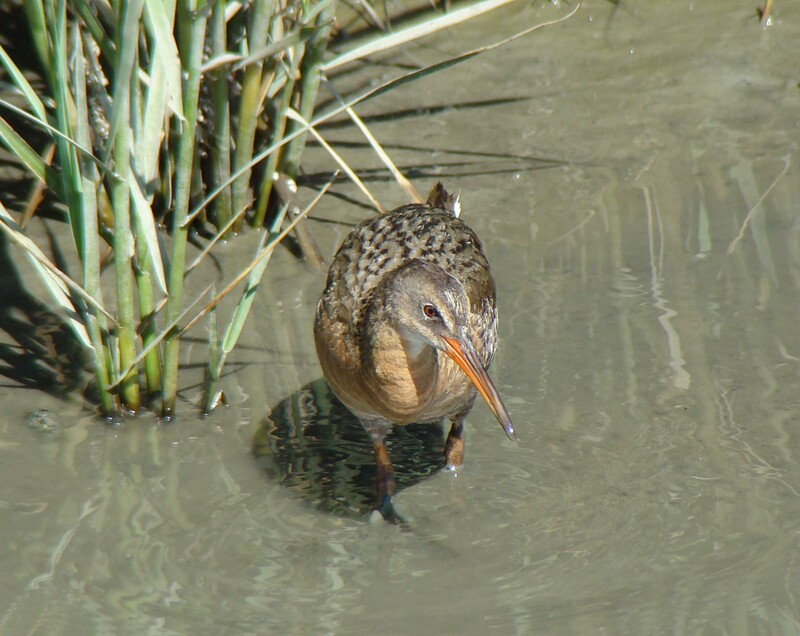 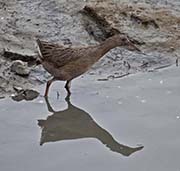 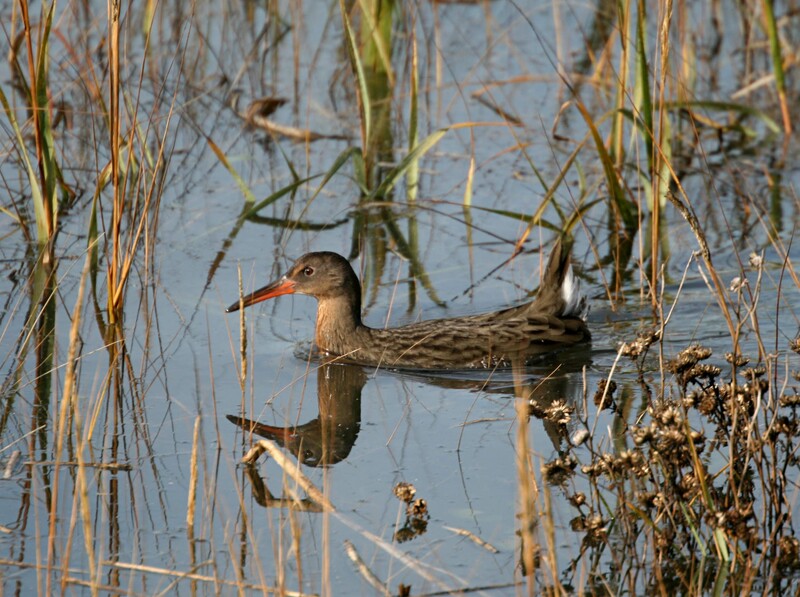 Ridgway's Rail is closely related to the Clapper Rail and until recently, 2014, it was considered the same species. 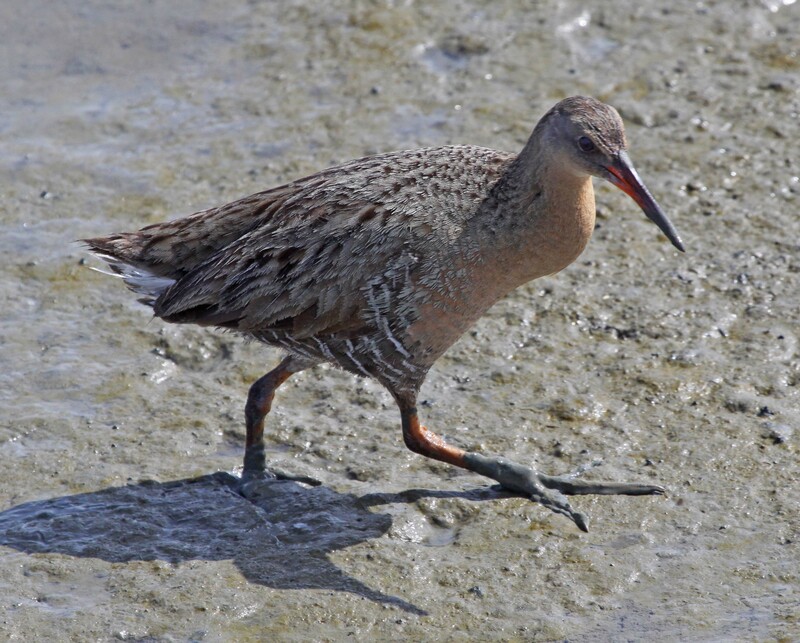 It is found principally in California from the San Francisco Bay to southern Baja California. 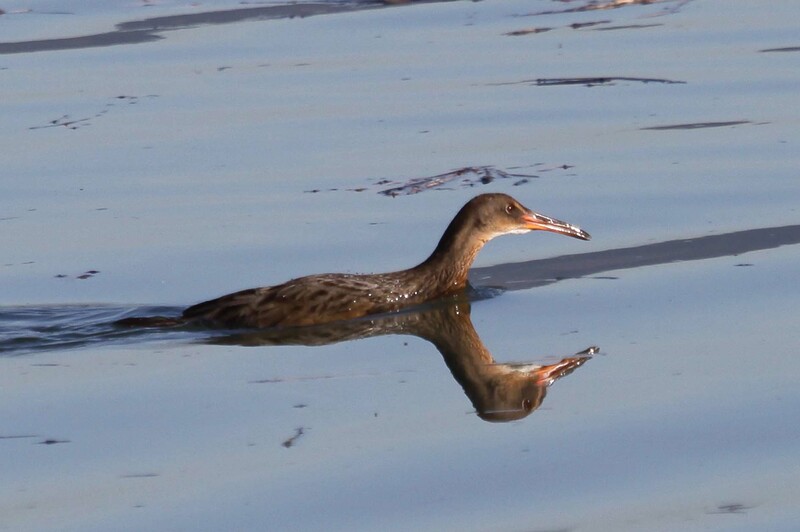 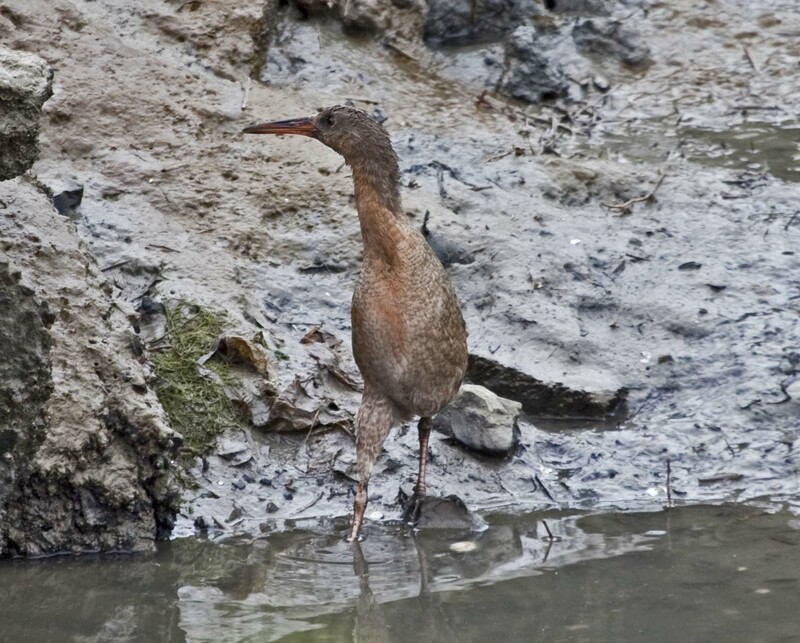 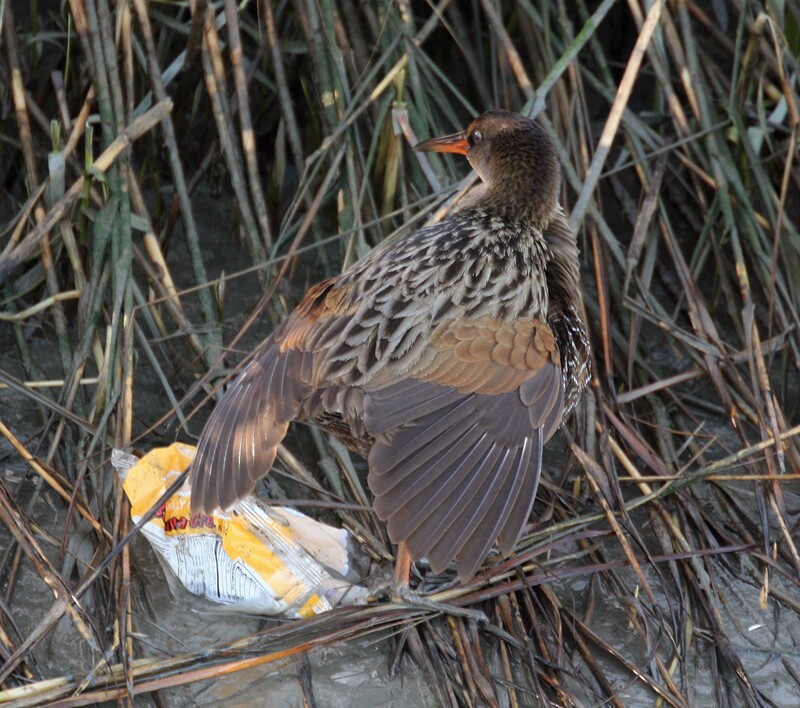 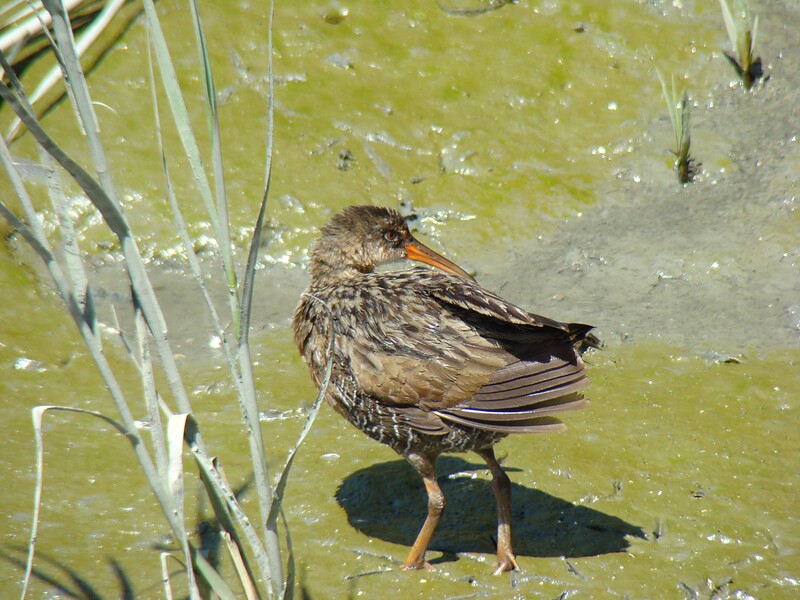 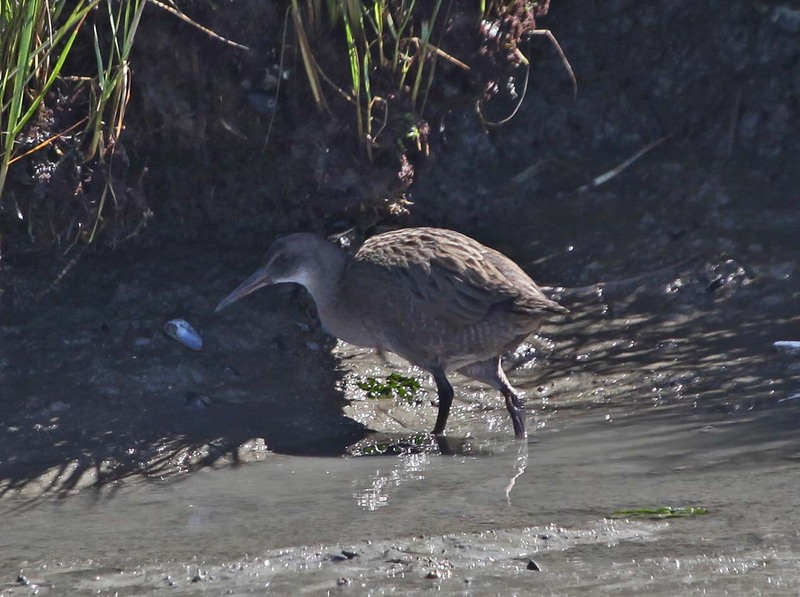 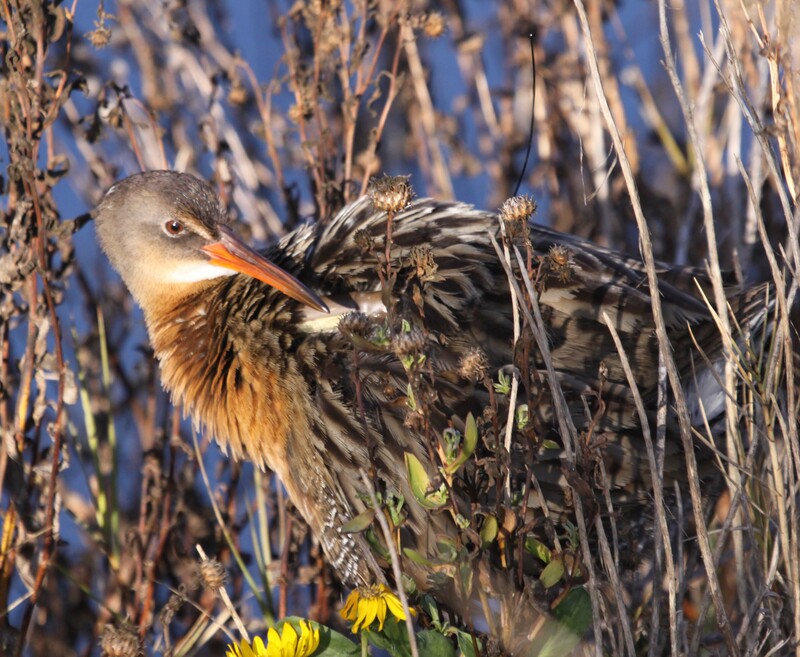 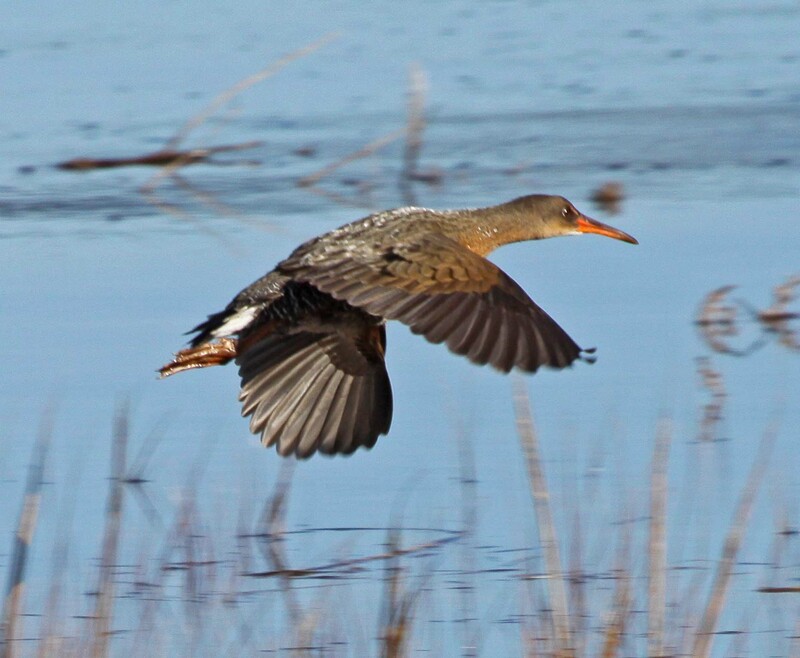 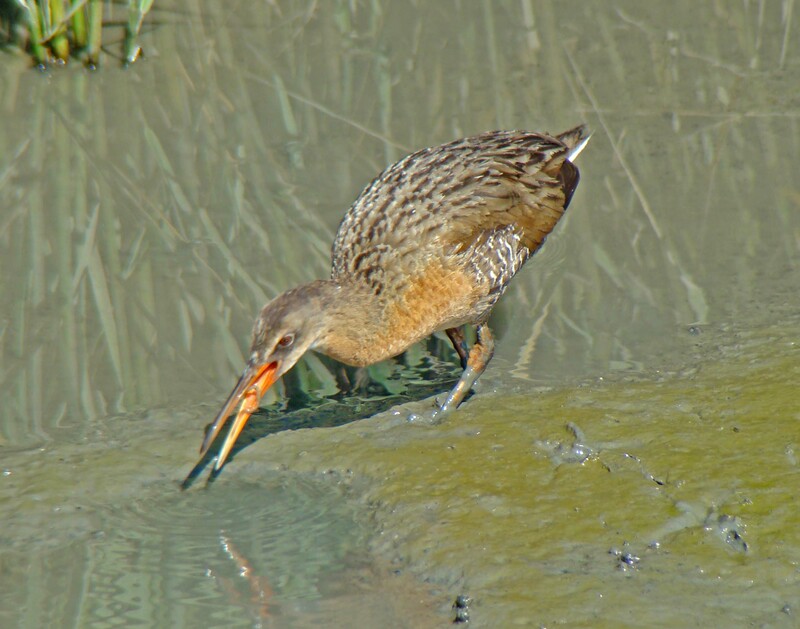 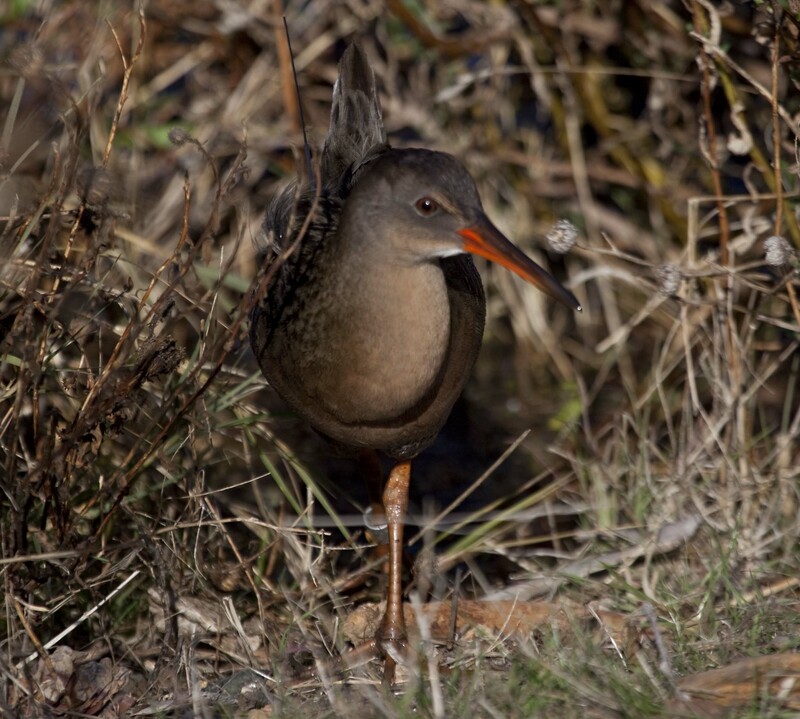 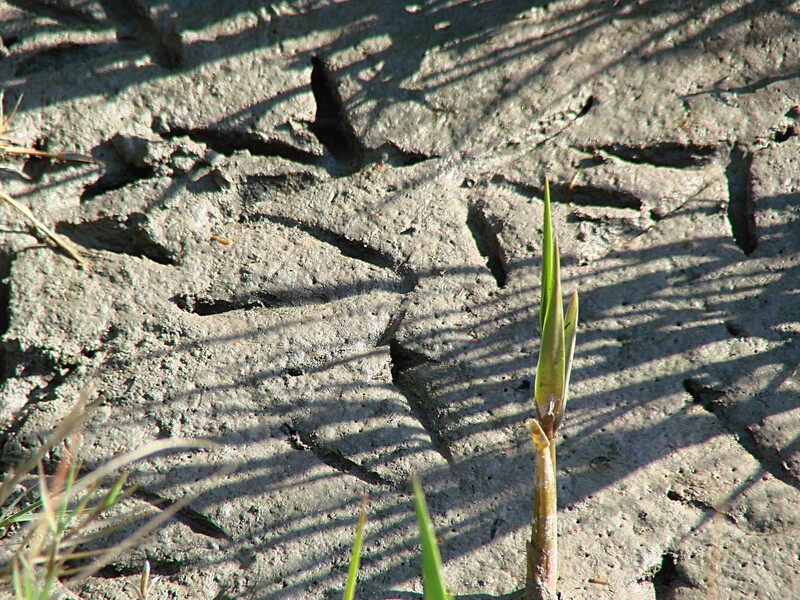 One of the best place to find the endangered Clapper Rail in the S.F. 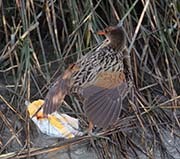 Bay Area is the Martin Luther King Regional Park near the Oakland Airport. 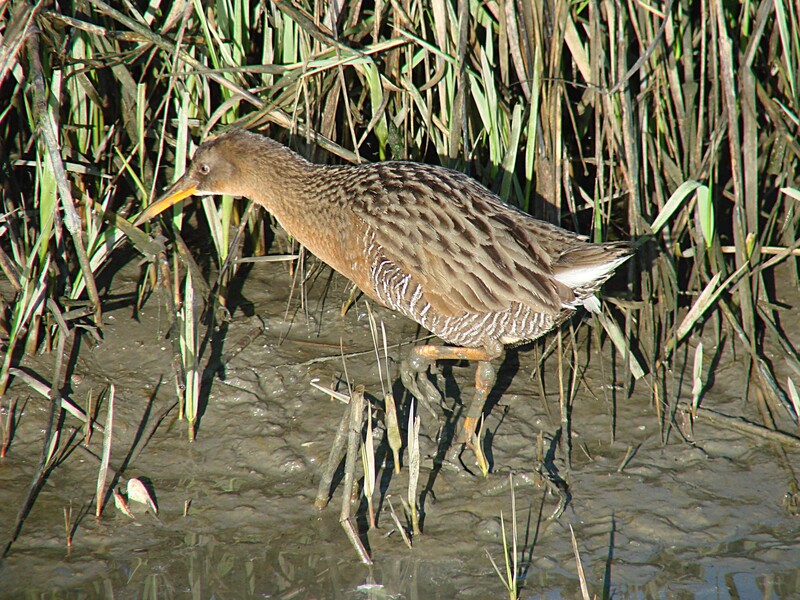 The best time to see them is at very high tide during the winter. 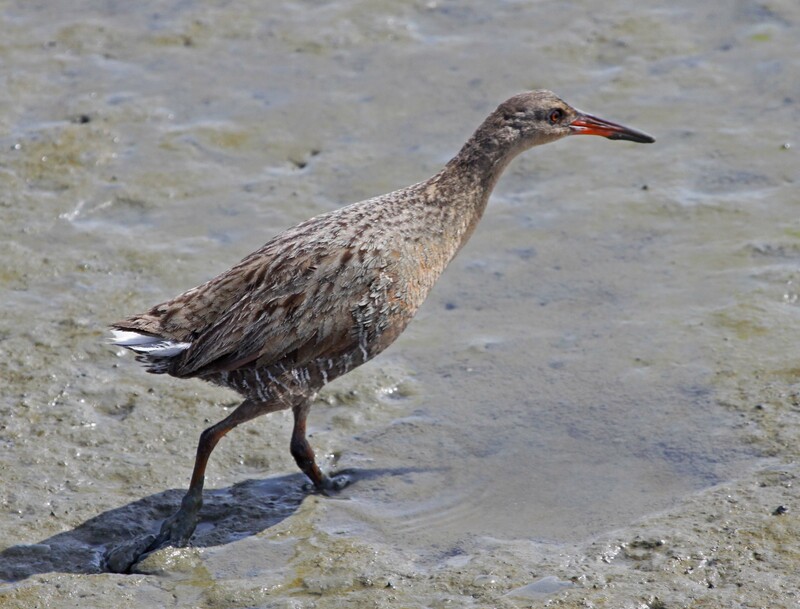 Also, you can sometimes see them at very low tide walking across the mud flats.